Two towns suspended in time: Solin with its incredible archaeological site where time appears to have stood still, and Trogir, where ancient and modern cohabit in a fascinating, unique atmosphere. 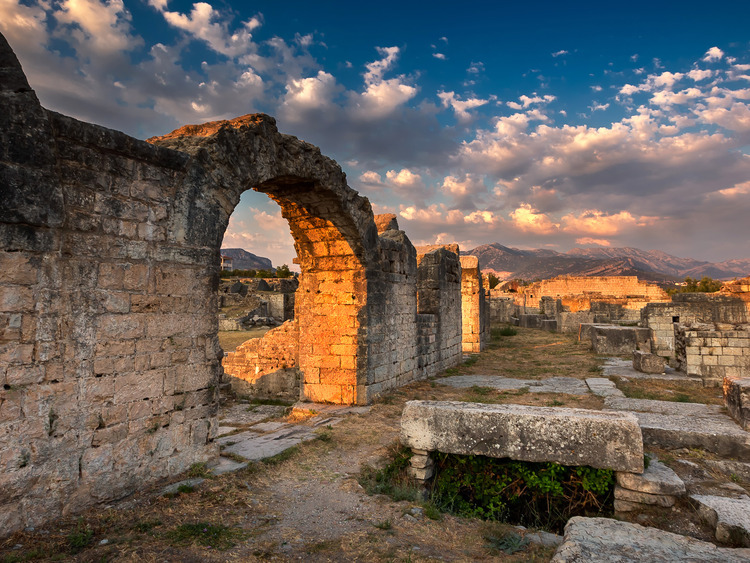 We visit the ancient city of Solin where, unlike frenetic Split, time appears to have stood still at the time of the Romans who created a settlement here of around 40,000 inhabitants. The extent of the Roman ruins makes Solin an archaeological area of fundamental importance, where ancient amphitheatres and Roman baths have been brought to light. From Solin we head for Trogir, a little town located on a small island between the larger island of Ciovo ﻿and the mainland. Along with immense green parks, we'll discover the spectacular constructions that make Trogir a veritable open-air museum with houses in bright white stone, monasteries, churches and towers. We visit the Cathedral of Saint Lawrence, the perfect example of Croatian sacred architecture that dates back to the 13th century. We then head for the town hall and continue towards the Cipiko Palace and the Public Loggia, renowned for its relief work by Niccolò Fiorentino. At the end of our panoramic tour we can stay in the centre a little longer for a walk before returning to the ship.